Enjoy life more! 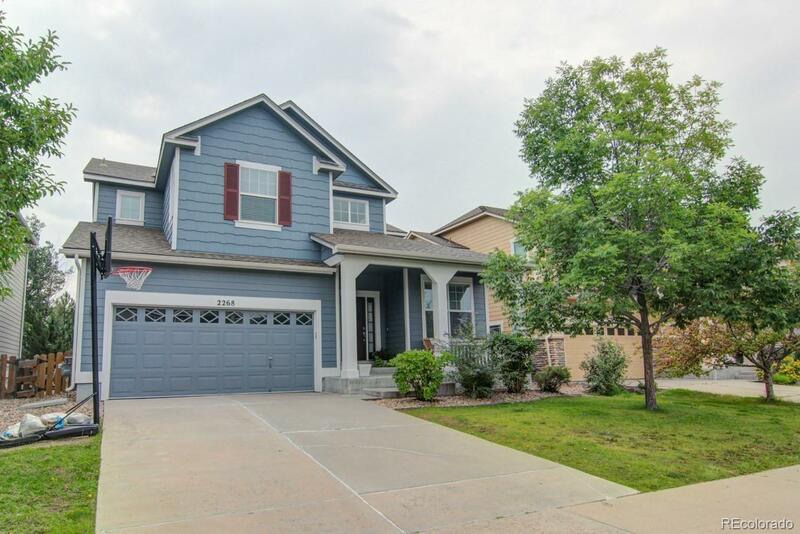 Relax on the covered front porch and watch the kids play in the cul-de-sac. Take a sunset walk on the adjacent paved green belt. Eat dinner on your stone patio out back. Curl up in front of the gas fireplace. Take a nice, long bath in the soaking tub in your spacious 5-piece master bath. This home has so much to offer! 5" wood laminate floors on the main level. Tons of storage space in the dine-in kitchen. Under-counter pull-outs and 42" upper cabinets. Stainless steel appliances (refrigerator stays). Built-in office area. Main floor bedroom and full bath. Walk-in closets. Dual heating and A/C with programmable thermostats. Full basement ready for your design. Access to 2 great community pools. Your favorite room just may be the huge upstairs loft with large windows to catch the morning sun and evening breeze. It's one of the hundreds of things that make this more than just a house. It's a home!